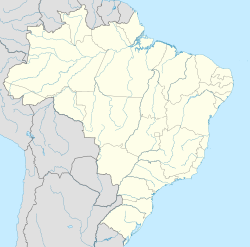 Muzambinho is a toun an municipality in the state o Minas Gerais in the Sootheast region o Brazil. ↑ "Censo Populacional 2010" (in Portuguese). Instituto Brasileiro de Geografia e Estatística (IBGE). 2010-11-29. Retrieved 2010-12-11. This page wis last eeditit on 11 Mairch 2018, at 11:08.